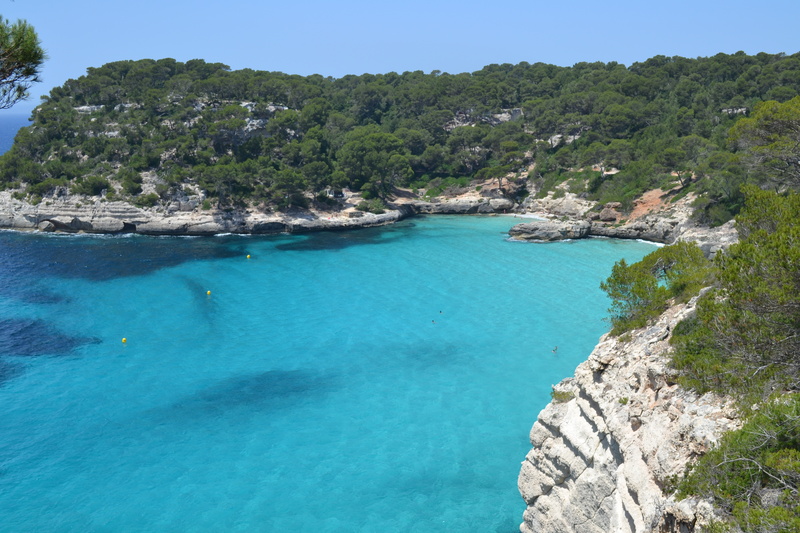 Did you know that Menorca boasts more beaches than Ibiza and Majorca combined? It’s just one of the many surprising facts about this Balearic Island that’s often overlooked. When I first visited here many a year ago I was unsure as to what to expect. Not a fan of the package holiday and the stereotypical ‘Brits abroad’ resorts and destinations – sometimes associated with its larger sister island Majorca – I was instead surprised to find blissful seclusion, historic towns and old pirate hideaways, undulating rural landscapes stretching for as far as the eye could see – and possibly some of the best beaches I have ever come across. I’ve been to Menorca several times now and each time we discover new beaches and remote turquoise coves dotted around the island; there’s just so many to choose from. The fact that you have to hike to many of them only adds to the elation when you emerge from the brush to be met with soft white sand and sea so turquoise that it sometimes defies your belief. 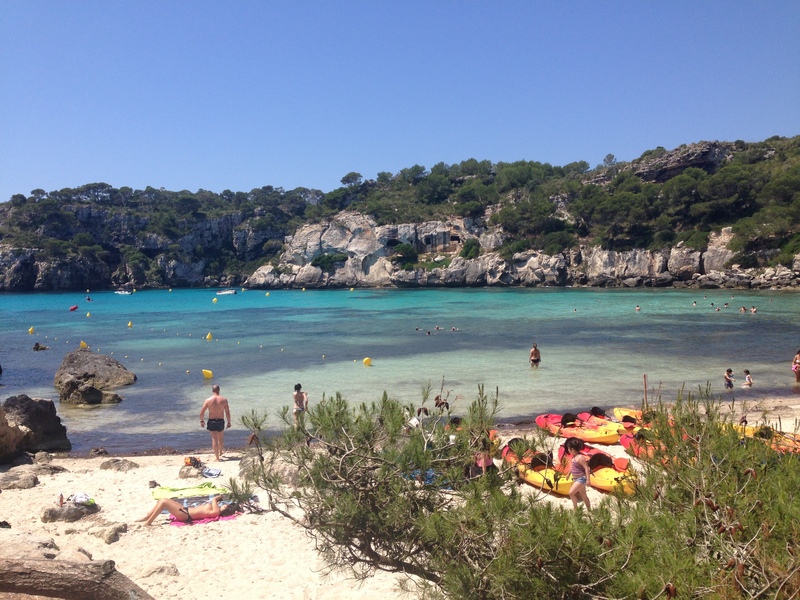 This is the beach that brandished across most of Menorca’s promotional material. It’s perfect cove and calm, topaz-blue sea surrounded by white cliffs is just stunning and it’s ideal for sun-seekers who want to get away from the hordes, but still want some amenities. Unfortunately, despite the half-hour hike to reach the beach, the secret is very much out so there’s still a reasonably big crowd, especially in summer. The smaller Cala Macareletta is just a little further around the headland (a five minute walk) and is popular with nudists. Considering how many beaches there are to visit on the island, the fact that we went back to Cala Mitjana twice in one week shows quite how much we liked this beautiful spot. 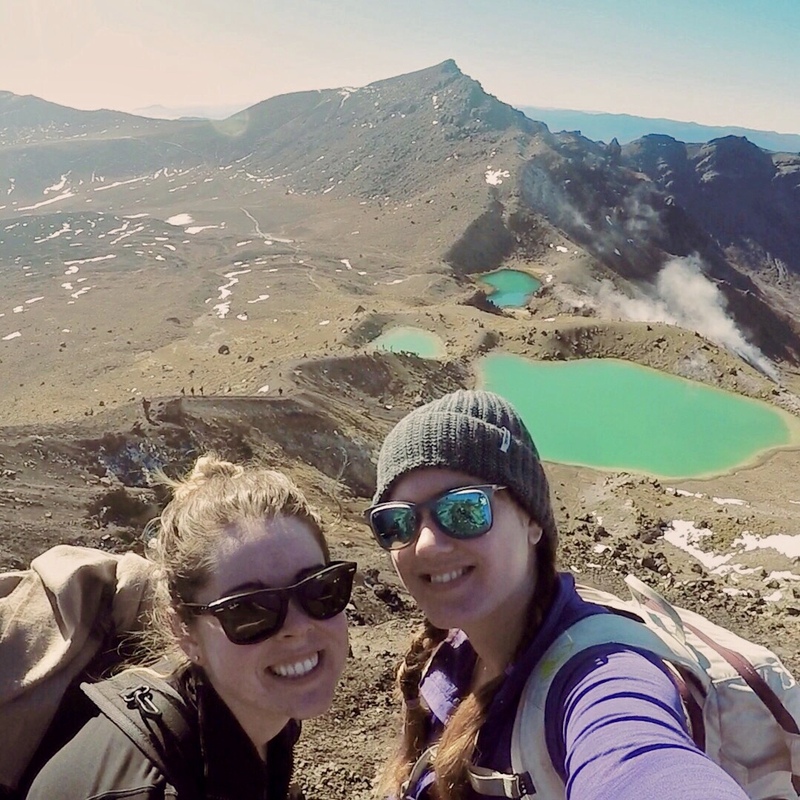 Accessing the beach is quite easy via a descending pathway through the forest (which can be done in flip flops unlike Calla Macarella’s hike through rocky terrain). We walked a little further from the main beach, which is surrounded by high cliffs, to a smaller inlet with a few patches of golden sand lying untouched by the gentle waves for a little more privacy. The sea itself was as clear as a swimming pool and as calm as a lake – perfect for a refreshing dip. 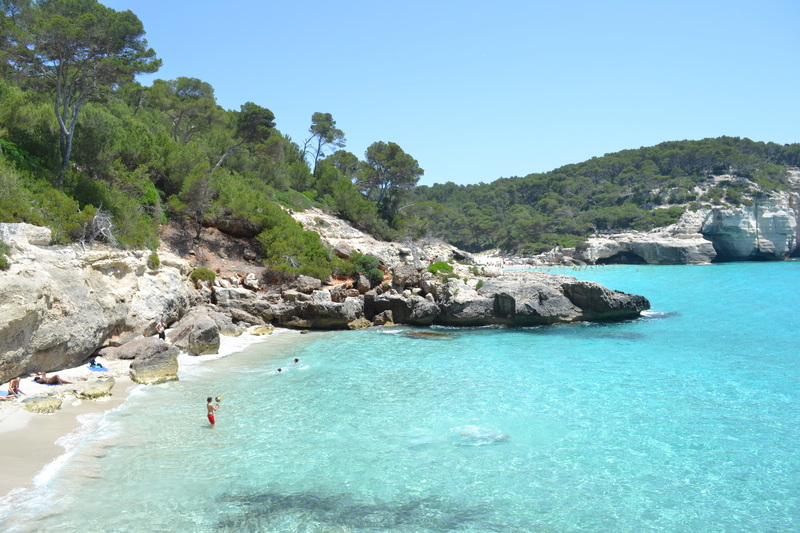 Located in the north of the island, Cala Pregonda looks a little different from the characteristically white sanded southern beaches (like both of the above). The sand is a little more reddish-pink and it’s more open than the secluded turquoise coves we loved (there’s also less protection from the blazing sun). However, its remoteness is what we liked and sometimes it can feel like you have the place to yourself. It can be reached in about half an hour through a nature reserve and there are no amenities so bring a picnic.